I feel bad for the farmers. A few bad apples (sorry - fruit pun) put pins in strawberries and we had instant fear over one of our most loved fruits. The property market is a little more complicated than that but only just. There is a lot of fear in the media right now pertaining to property. Sydney and Melbourne markets have peaked, and many suburbs experienced price reductions from the peak. The Royal Commission has the banks under the spotlight and borrowers are finding they need to jump through more hoops to get finance. Many markets have seen a slowdown in sales speeds and auction clearance rates are lower. You could easily be fooled into thinking Armageddon is on the cards for every city, village, town and region in the county and price movements will be a carbon copy of our capitals. That would be a an easy assumption to make, but you would most likely be wrong. 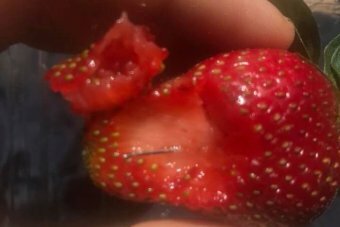 Assuming everything is the same as Sydney or Melbourne is like assuming every type of fruit and veg in the supermarket is unsafe because of those pesky pins found in the strawberries. They wanted to pull the handbrake on the runaway Sydney and Melbourne markets. They wanted to kerb overly excited speculation. They wanted to prevent us repeating America’s mistakes. According to most economists they have successfully achieved this. Both cities had experienced intense price growth for years and were at risk of hitting true bubble status. They have now stopped cold. Like strawberry sales did a few weeks ago. But is Australian real estate just 1 market? Or event 2? We actually have way more different markets than a fruit salad. This is the thing the media so often ignore. Each area has its own level of supply and demand. Hundreds of micro markets that are all ebbing and flowing with our choices, our decisions to stay, to move, to head up the coast or down, or interstate. As different from strawberries as the lychees, mangoes, carrots and broccoli on Woolies shelves. Most regions in most states never had the kind of FOMO (fear of missing out) that saw Kellyville median go from $630k to $1.29m in 4 years or Bondi from $1.3 to $2.7 in 5yrs or in Brighton VIC which ran from $1.6 up to $2.8m. Even working couples with 2 high powered jobs (and little hope of having kids) struggle in such pricey locales, let alone the rest of us. It had to stop and it did. But what about the bigger picture? We all know most areas outside these 2 markets are far far cheaper, and more achievable. Does that mean anything? Could the pins being in just 1 fruit type mean the others are safer than we think? Yes he does. His name is Warren Buffet. So… how is the herd… the “others” behaving now? The media is playing the doom and gloom card on every week’s auction clearance rate too because it sells more papers. So… does that make it the perfect time to “be greedy” in the buffet vernacular and consider buying? First - finance is tough this year, we stated that. As a result there could be more short term pain. But what of other measures? Surely there is nothing more fundamental to property markets than the law of supply and demand? In August this year Australia ticked over 25 million people. Last year we added 380,000 to our total. This is a mix of immigration and natural increase of course, but the overall picture being a lot of new humans in the nation. This is likely to continue unabated and will put a requirement on us to keep building homes or see fewer people competing for the same ones. If the markets and stopped growing the developers gone into their caves because the easy money is over, who is building? Hmmm…. Evidence shows we are becoming more mobile, more lifestyle focussed and key natural assets (beautiful places) are drawing ever increasing population growth from moving baby boomers and you families opting out of the city. This year unemployment has fallen from 5.8% (pretty good historically) to 5%. It fell last month and looks to be falling further. In fact it is much closer to its lowest on record (4%) than its highest (11.2) over the last 40 years of data gathering. Armageddon? Possibly not quite. Maybe timing is everything and listening to the herd is the worst thing to do. Maybe those little known overlooked markets around the country… those ones outside of the capitals that have booming local economies and growing populations could represent some very interesting places to buy after all? Especially at clever prices while everyone is too busy looking at the pins.